The man sitting next to me at Oamaru Operatic Society’s production of Les Miserables on Thursday said he cried. This was the third time I’d seen the show and while I wasn’t moved to tears, I was very impressed by the performance. Professional singer Tim Beveridge starred as Valjean. The rest of the cast were local amateurs but there was nothing amateur about their acting and singing. It took the society nearly three years of planning to bring the show to the Opera House stage. The performance we saw was worth it. The acoustics of the refurbished Opera House made the most of the voices and orchestra; the set was stunning and costumes superb. Hamartia – tragic flaw in a character leading to his/her downfall. Did you see the one about . . .
An email from Matt McCarten – Whale Oil received a thank you from Matt. It’s not all doom and gloom despite the earthquake and SCF collapse – Beranrd Hickey finds 10 reasons to be cheerful. Proof: Wellington council wardens are ticketing against council policy – Big News cuaght them at it. Science explained Something Should Go Here Maybe Later, who’s made a welcome return to blogging, illustrates the differences between biologists. Milestone for Beattie’s Book Blog – post 10,000 in a little under four years 1311 visitors for the day by lunchtime on the day the post was written. 6/10 in the NZ Herald’s weekly news quiz. The volume of farm sales and prices paid dropped in the three months to August. From a high of $4,650,000 in August 2008 the three month median price for dairying properties is down by a third to $3,100,000 in the latest REINZ Rural Market Report statistics released today. Only 17 dairy farms were sold in the three months to August, one less than in the same period last year and significantly below the 67 transactions in the three months to August 2008. Just three dairy farms sold in August at an average price of $2,543,333, and the average price per hectare decreased to $31,598 from $36,435 in July. The average price per kilogram of milk solids has fallen further to $33 from $37 in July, $40 in June and $45 in May. From a peak of $90,125 in August 2009, the average price per hectare of all types of farms has fallen to $29,739. The 192 farms sold in the three months to the end of August is an increase on the 183 in the same period last year, but less than the 516 transactions in the three months to August 2008. The national median farm sale price eased up from $1,118,500 for the three months to July to $1,127,754 for the three months to August 2010. Well down on the median of $1,742,500 for the equivalent period in 2008, the latest August figure is fractionally above the median for all farms of $1,000,000 for the same three months in 2009. However with the low number of sales currently occurring, price fluctuations, both upwards and downwards, can be impacted by the range of prices of the mix of properties being sold. On a regional basis the largest number of farm sales during the three months to August was 31 in Canterbury, 24 of them grazing properties, and 27 in Southland, 11 of them grazing properties. During the past year median prices for farms have declined in eight out of the 14 districts. In the three months to August 2010 compared with the corresponding period in 2009, farm sale prices were down in Waikato from $1,663,655 to $1,187,500, Bay of Plenty from $1,000,000 to $920,000, Hawkes Bay from $1,800,000 to $945,000, Manawatu/Wanganui from $1,275,000 to $1,200,000, Wellington from $3,005,000 to $1,935,000, Canterbury from $1,300,000 to $1,200,000, Otago from $937,500 to $712,000, and Southland from $1,200,000 to $1,125,000. There was another decrease in the number of sales of lifestyle properties from 1088 at the end of July to 1066 in the three months to the end of August, and the national median selling price eased from $447,500 at the end of July to $436,750 last month. While the August 2010 median is still up on $430,000 for the same three month period in 2009 it is below the August 2008 median of $450,000. The decline in sales and prices is due to both the recession and the boom which preceded it. Farm prices for all properties soared on the back of increasing dairy prices until it was cheaper to buy an existing dairy farm than to purchase sheep or cropping land and convert it. There used to be a rule of thumb that you should never pay more than three to five times the value of a property’s gross income when buying a farm. That was disregarded for not just dairy properties but sheep and beef ones with much less earning potential. The value of a property is most important when you’re buying or selling or if it’s highly mortgaged. Lower prices may make it easier for people to get in to farming or increase their land holding, although credit is still pretty tight. But they will also be causing older farmers to re-think their retirement plans and they will be having a detrimental impact on equity of those with mortgages. That won’t matter if the people can cover interest payments and ride out the current downturn. But it will put pressure on people who were struggling before prices dropped. However, banks will be mindful that there’s no point pushing for sales when prices are dropping. The protracted process of the sale of the Crafar properties won’t be helping farm sales and that’s when it’s possible for overseas investors to own farms. The volume of sales and property prices would drop even more if farm ownership was restricted to New Zealanders. It’s difficult to understand how senior members of a party could be told by a prospective candidate that he had been through court for identity fraud without ascertaining all the facts. But when Rodney Hide was interviewed by Mary Wilson on Checkpoint last night he said he hadn’t known the details of David Garrett’s case. This reflects very poorly on the party and its selection processes. It’s even more difficult to understand how a man who had been on the wrong side of the law himself couldn’t understand the need to be open about it before entering parliament when he wanted to take such a hard line on crime. Garrett may have been discharged without conviction in a court of law. But his failure to disclose the full details of his past before he was elected make him guilty of hypocrisy in the court of public opinion which has zero tolerance for the h word . P.S. goNZo Freakpower has dug up a photo of an Act campaign billboard. 96 Nerva was proclaimed Roman Emperor after Domitian was assassinated. 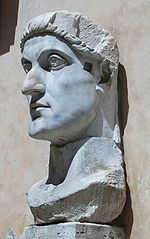 324 Constantine the Great decisively defeated Licinius in the Battle of Chrysopolis, establishing Constantine’s sole control over the Roman Empire. 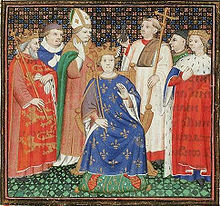 1180 Philip Augustus became king of France. 1454 In the Battle of Chojnice, the Polish army was defeated by the Teutonic army during the Thirteen Years’ War. 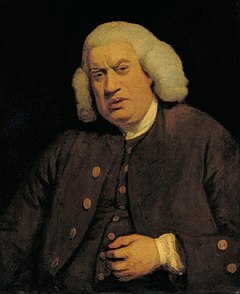 1709 Samuel Johnson, English writer and lexicographer, was born (d. 1784). 1739 The Treaty of Belgrade was signed, ceding Belgrade to the Ottoman Empire. 1793 The first cornerstone of the Capitol building was laid by George Washington. 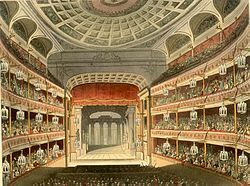 1809 The Royal Opera House in London opened. 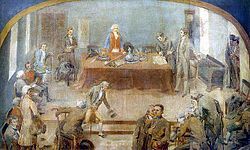 1810 First Government Junta in Chile. 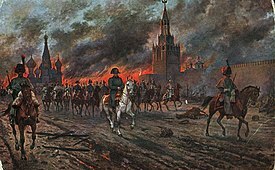 1812 The 1812 Fire of Moscow died down after destroying more than three quarters of the city. Napoleon returned from the Petrovsky Palace to the Moscow Kremlin, which was spared from the fire. 1837 Tiffany and Co. (first named Tiffany & Young) was founded by Charles Lewis Tiffany and Teddy Young in New York City. 1838 The Anti-Corn Law League was established by Richard Cobden. 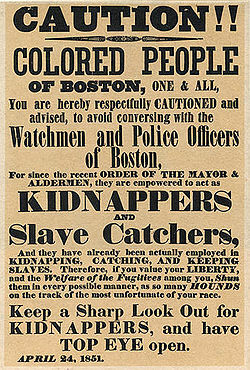 1850 The U.S. Congress passed the Fugitive Slave Law of 1850. 1851 First publication of The New-York Daily Times, which later became The New York Times. 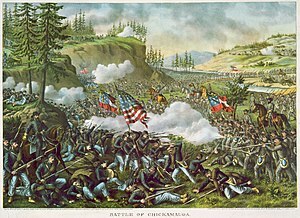 1863 American Civil War: Battle of Chickamauga. 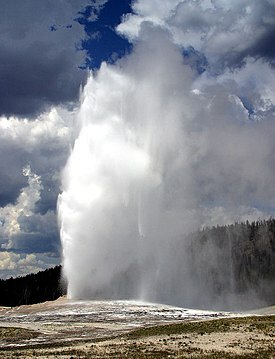 1870 Old Faithful Geyser was observed and named by Henry D. Washburn during the Washburn-Langford-Doane Expedition to Yellowstone. 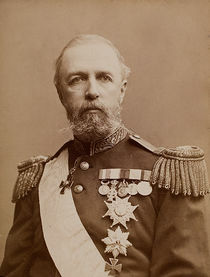 1872 King Oscar II acceded to the throne of Sweden-Norway. 1873 The Panic of 1873 began. 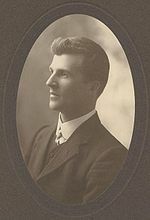 1876 James Scullin, 9th Prime Minister of Australia, was born (d. 1953). 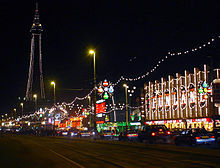 1879 The Blackpool Illuminations were switched on for the first time. 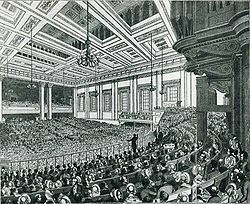 1882 The Pacific Stock Exchange opened. 1885 Riots broke out in Montreal to protest against compulsory smallpox vaccination. 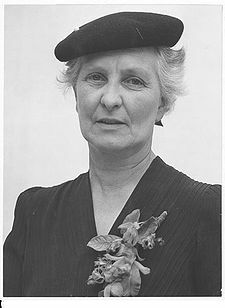 1889 Doris Blackburn, Australian politician, was born (d. 1970). 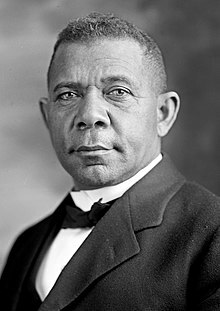 1895 Booker T. Washington delivered the “Atlanta Compromise” address. 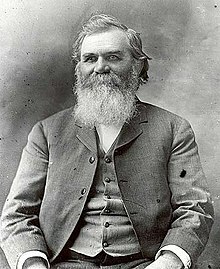 1895 Daniel David Palmer gave the first chiropractic adjustment. 1895 John Diefenbaker, 13th Prime Minister of Canada, was born (d. 1979). 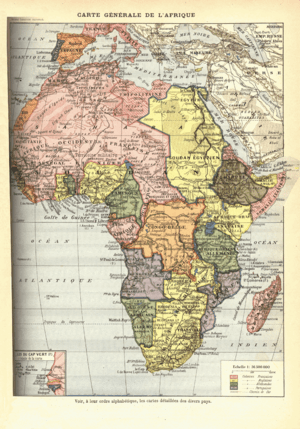 1898 Fashoda Incident – Lord Kitchener’s ships reached Fashoda, Sudan. 1900 Seewoosagur Ramgoolam, 1st Prime Minister of Mauritius, was born (d. 1985). 1905 Agnes de Mille, American choreographer, was born (d. 1993). 1905 Greta Garbo, Swedish actress, was born(d. 1990) . 1906 A typhoon with tsunami killed an estimated 10,000 people in Hong Kong. 1910 In Amsterdam, 25,000 demonstrated for general suffrage. 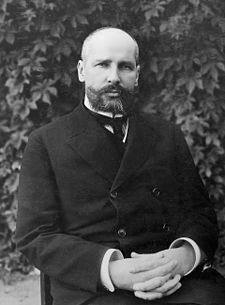 1911 Russian Premier Peter Stolypin was shot at the Kiev Opera House. 1914 The Irish Home Rule Act became law, but was delayed until after World War I. 1919 The Netherlands gave women the right to vote. 1919 – Fritz Pollard became the first African-American to play professional football for a major team, the Akron Pros. 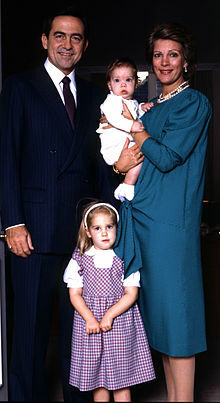 1923 Queen Anne of Romania was born. 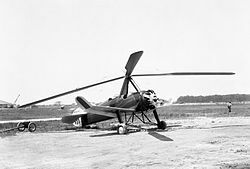 1928 Juan de la Cierva made the first autogyro crossing of the English Channel. 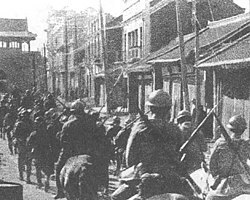 1931 The Mukden Incident gave Japan the pretext to invade and occupy Manchuria. 1937 David and Mary McGregor moved in to New Zealand’s first state house. 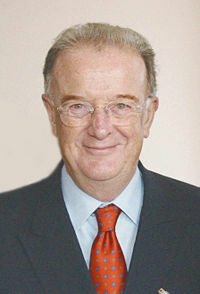 1939 Jorge Sampaio, President of Portugal, was born. 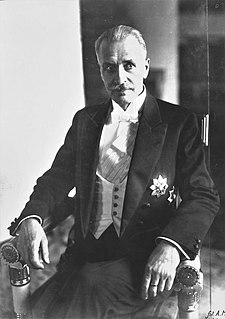 1939 World War II: Polish government of Ignacy Mościcki fled to Romania. 1939 William Joyce made his first Nazi propaganda broadcast. 1940 World War II: Italian troops conquered Sidi Barrani. 1942 The Canadian Broadcasting Corporation was authorized. 1943 World War II: The Jews of Minsk were massacred at Sobibór. 1943 – World War II: Adolf Hitler ordered the deportation of Danish Jews. 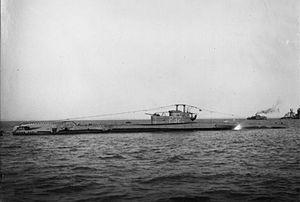 1944 World War II: The British submarine HMS Tradewind torpedoed Junyō Maru, 5,600 killed. 1948 Communist Madiun uprising in Dutch Indies. 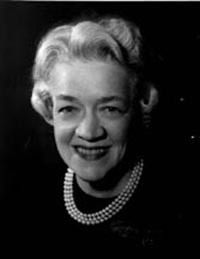 1948 –Margaret Chase Smith of Maine became the first woman elected to the US Senate without completing another senator’s term, when she defeated Democratic opponent Adrian Scolten. 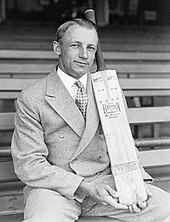 1948 – The Donald Bradman-led Australian cricket team completed the unprecedented feat of going through an English summer without defeat. 1952 Dee Dee Ramone, American bassist (The Ramones), was born (d. 2002). 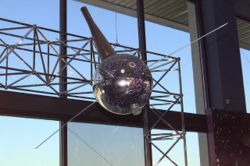 1959 Vanguard 3 was launched into Earth orbit. 1961 U.N. Secretary-General Dag Hammarskjöld died in a plane crash while attempting to negotiate peace in the war-torn Katanga region of the Democratic Republic of the Congo. 1964 Constantine II of Greece married Danish princess Anne-Marie. 1971 Lance Armstrong, American cyclist, was born. 1972 First Ugandans expelled by Idi Amin arrived in the United Kingdom. 1974 Hurricane Fifi struck Honduras with 110 mph winds, killing 5,000 people. 1975 Patty Hearst was arrested after a year on the FBI Most Wanted List. 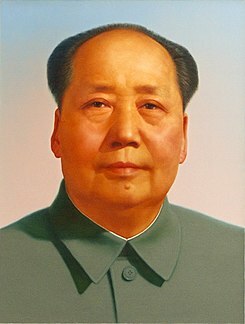 1976 Mao Zedong‘s funeral in Beijing. 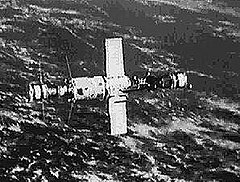 1980 Soyuz 38 carried 2 cosmonauts (including 1 Cuban) to Salyut 6 space station. 1981 Assemblée Nationale voted to abolish capital punishment in France. 1982 Christian militia began killing six-hundred Palestinians in Lebanon. 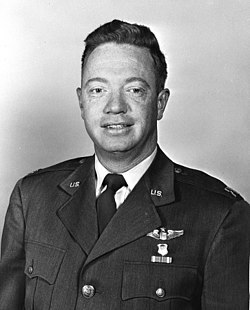 1984 Joe Kittinger completed the first solo balloon crossing of the Atlantic. 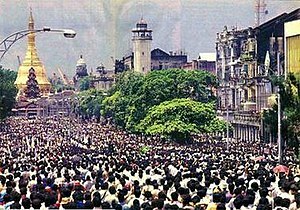 1988 End of pro-democracy uprisings in Myanmar after a bloody military coup by the State Law and Order Restoration Council. 1991 Yugoslavia began a naval blockade of 7 Adriatic port cities. 1992 An explosion rocks Giant Mine at the height of a labour dispute, killing 9 replacement workers. 1997 United States media magnate Ted Turner donated $US1 billion to the United Nations. 1997 – Voters in Wales voted yes (50.3%) on a referendum on Welsh autonomy. 2001 First mailing of anthrax letters from Trenton, New Jersey in the 2001 anthrax attacks. 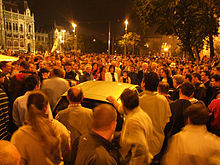 2006 Right wing protesters riot the building of the Hungarian Television in Budapest. 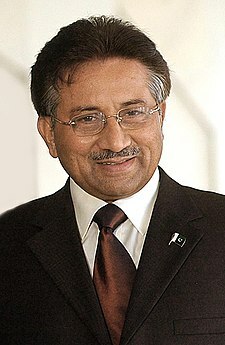 2007 Pervez Musharraf announced he would step down as army chief and restore civilian rule to Pakistan, but only after he was re-elected president. 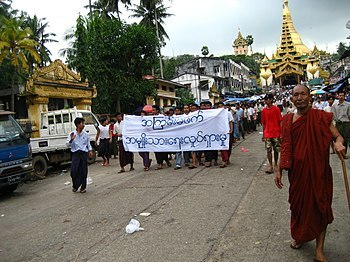 2007 Buddhist monks joined anti-government protesters in Myanmar, starting the Saffron Revolution. 2009 The 72 year run of the soap opera The Guiding Light ended as its final episode is broadcast. You are currently browsing the Homepaddock blog archives for the day Saturday, September 18th, 2010.